The band has performed at a variety of events across the UK from headline shows to festival performances including at Scotland’s prestigious Belladrum Tartan Heart Festival. This has led to the band sharing stages with acts such as Skerryvore, Donnie Munro, Twin Atlantic, AC/DC The Fratellis and Peatbog Faeries. Gleadhraich made their German debut with a successful mini tour in September 2015 and featured in France in January 2016. 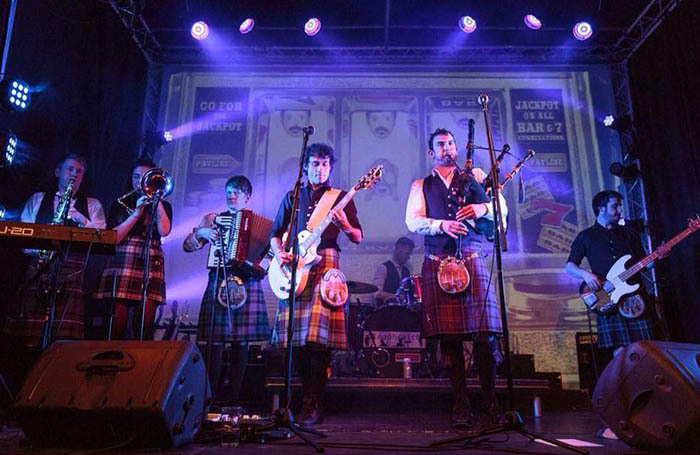 Gleadhraich made their US debut during New York Tartan Week in 2017 with an appearance at the prestigious BB King’s Blues Bar and Grill at the Post-Parade Party, a feat which was repeated once more in 2018. Gleadhraich were also honoured to perform at the British Chamber of Commerce in Lithuania Burns Supper at the Palace of the Grand Dukes of Lithuania in January 2018. Gleadhraich were awarded the title of Best Celtic Music Act at the 2018 Infinitime Music Awards. The band has featured on many national media platforms such as BBC, STV, S4C, NME, Magic FM and many more.